OPEN TO ALL NATIONALITIES - OVER 30 Y.O. * REGISTRATIONS FOR THE ABU DHABI WORLD MASTERS JIU JITSU CHAMPIONSHIP 2019 HAS REACHED FULL CAPACITY AND THE REGISTRATION PERIOD HAS CLOSED. PLEASE CONTACT US AT [email protected] IF YOU HAVE ANY QUESTIONS. 1. UAEJJF TRIES TO ACCOMMODATE AS MANY ATHLETES AS POSSIBLE IN OUR EVENTS, BUT THERE IS A LIMIT ON THE NUMBER OF ATHLETES IN ORDER TO GUARANTEE A HIGH-QUALITY EVENT. 2. 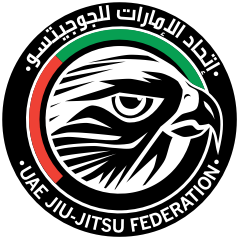 UAEJJF RESERVES THE RIGHT TO CLOSE REGISTRATION WHEN WE REACH FULL CAPACITY, OR ON THE DAY OF THE APPOINTED EVENT REGISTRATION DEADLINE, WHICHEVER COMES FIRST. 3. UAEJJF STRONGLY SUGGEST THAT ATHLETE REGISTRATION IS FINALIZED BEFORE MAKING ANY TRAVEL ARRANGEMENTS. Open to All Nationalities - Youth from 10.y.o. to 17y.o. Blue, Purple, Brown and Black Belts, Master 1, 2, 3 & 4. Open to All Nationalities - Over 18y.o. Blue, Purple, Brown and Black Belts, Adults only. *NOTE: Athletes overweight at the weigh in will be disqualified of the tournament. Rules applied for Brown and Black Belt - Master 1 - Male. Other belt divisions and age groups athletes will be placed in the next division available if overweight as per current rules. Time: 8 a.m. to 9:30 a.m.
Fights starts at 11:00 a.m.